Pubcon London yesterday was a great success. The number of attendees was comparatively small compared with Pubcon’s of previously years however those few in number made up in quality for the lack of numbers. I would say that there were about 75 people there over the four hours. 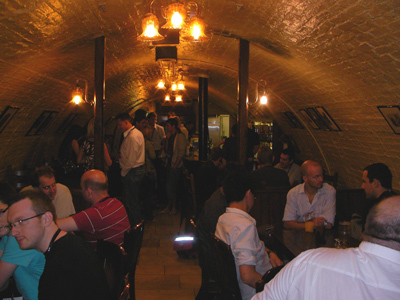 Being down stairs in the Cittie of Yorke did mean that there was no phone resection however being in a traditional brick build cellar with air condition on a very how Saturday made for a cool atmosphere to network in without sweltering. As you would expect with Pubcon most of the people I meet there were working in Search engine optimization SEO or wanted to find out more about SEO. People had travels from as far afield as Spain and Ireland to come to this event and they were all very happy with the event and thought it well worth the trip.